Put aside the pencils and highlighters — even textbooks, for that matter. Learning today is increasingly shifting online, which means important reading usually comes in the form of docs like PDFs and EPUBs. With MarginNote Pro for Mac, students can optimize that learning and assemble thoughts and ideas from their newfound knowledge in a completely new way. With this limited time deal, MarginNote Pro is available right now for only $24.99 (50 percent off) from TNW Deals. 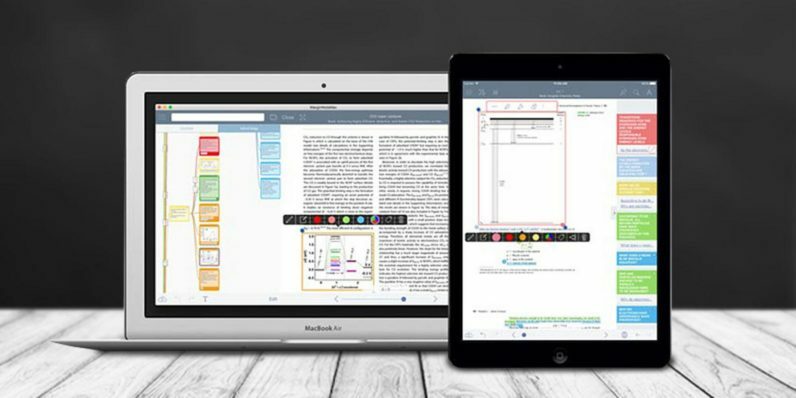 Since everyone learns differently, MarginNote Pro offers a variety of features that allow for a fully customized note-taking and data organization experience. Readers can sift through a PDF or EPUB, pull pertinent notes, insert their own added information, then condense those hybrid super-notes into efficient, tightly ordered study aids to help embed the learning. And this doesn’t just apply to text passages. You can pull in handwriting, images, audio or video web content, even hashtags — essentially anything that can help round out your studies can be integrated seamlessly. You can turn a full document into an outline, color-coding relevant facts and allowing you to take apart and reassemble text intuitively. Or reconstruct notes into a “mindmap,” a type of text flow chart of sequenced items. Or turn everything into digital flashcards to drill on your study points. However you learn best, MarginNote Pro stands ready to assist. MarginNote Pro for Mac was an AppSo 2016 Top 10 iOS app, so find out what the buzz is about for half the price at just $24.99.